Caroline Ceniza-Levine is a celebrated coach and recruiter, classically trained pianist, public speaker, stand up comedian…and that’s just the short list. No matter what industry she’s in, Caroline leverages her artistic background to build relationships and continually reinvent herself. In this episode, Caroline will teach you everything you need to know about transitioning careers. She also discusses the link between networking and role-playing, and explains why asking for what you want is the only way to gain access to powerful people. Caroline Ceniza-Levine is a career and business expert, writer, speaker and co-founder of SixFigureStart®. Caroline has coached executives from Amazon, American Express, Condé Nast, eBay, Goldman Sachs, Google, McKinsey, Tesla and other leading firms. Prior to launching SixFigureStart® in 2008, Caroline spent 15 years in strategy consulting, executive search and HR. 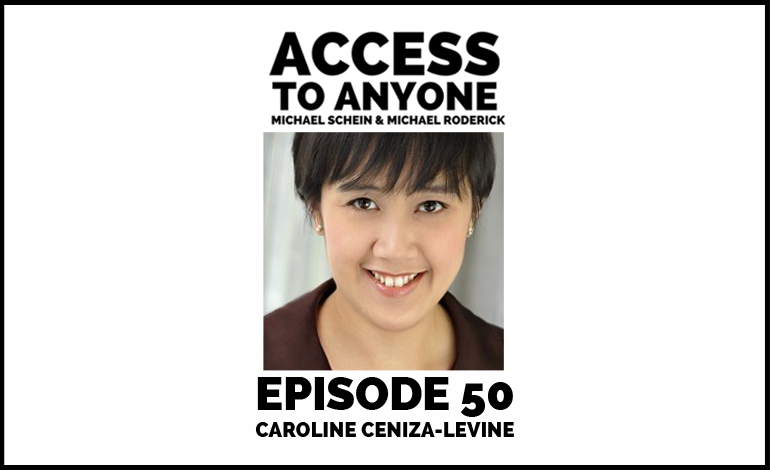 Caroline has been a repeat guest on CBS, CNN, CNBC and Fox Business, and has been quoted in BusinessWeek, Entrepreneur, Fast Company, Fortune, Inc, MORE, Newsweek, NPR, Real Simple, and Success Magazine.